Netaji Subhash Chandra Bose has left an important legacy of the freedom struggle in India inspiring the youth of the country. His dedication and devotion to attain complete Independence for India made him play an active role in politics. 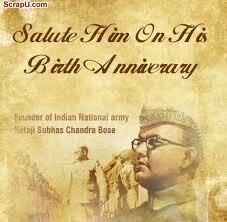 Netaji Jayanti in India is observed on January 23 every year, the birthday of the great leader. Born in the year January 23, 1897, Subhash Chandra Bose played an important role in the freedom struggle movements of the country. His ideology and principles forced the other nationalists to enforce the Purna Swaraj proposal to the British Government. A legendary example for the young of the country, he is remembered as the hero of Indian nationalism. He left the country in the year 1943 and soon believed to have died in a plane crash in Taiwan on August 18, 1945. There is contradictory evidence over his death and many believed that he lived much longer. Netaji Jayanti in India became a national event withthe schools, colleges, and clubs gearing up for the occasion. There is garlanding ceremony on the morning of January 23 accompanied with bands and procession. This January 23, 2019 too universities and colleges across the country will have band procession, parades on the streets, cultural programs in the clubs, and competitions. Patriotic songs and dance performances take place in his honor. Many theatres organize for film shows where Netaji s role in freedom movement is highlighted.